As we reported in the last article on the situation, Model X owner Bobby Kansara, an Orthopaedic Surgeon from St. Paul, created a thread on the Tesla Motors Club (TMC) forum to discuss his problem with the windshield and the quote he received from Tesla. Sure enough, Kansara quickly reported that the service team got back to him and revised his quote to $880 or $1,410 less than previously quoted. 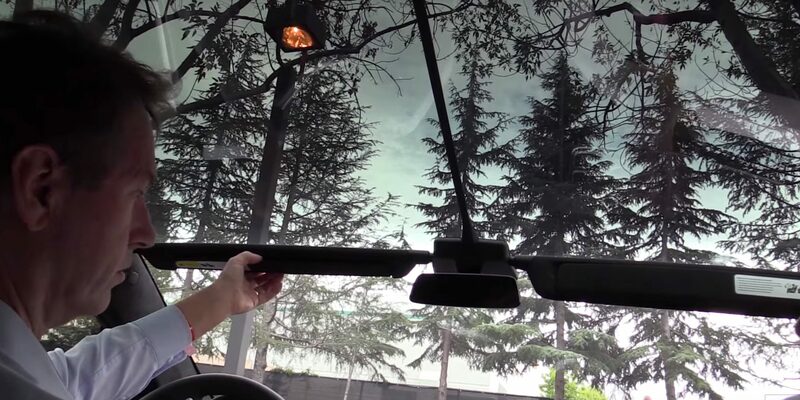 That’s for the replacement windshield itself – with labor, the new Model X owner says that it adds up to $1,370. According to windshieldcost.com, windshield replacements for SUVs tend to cost between $200 – $400 without coverage, meaning that the Model X’s windshield is still on the expensive side, but it’s reasonable for a custom panoramic windshield in relatively low-volume for a luxury vehicle. Earlier this year, we reported on the maker of Tesla’s unique Model X panoramic windshield, Peru-based specialty glass maker AGP. It’s not the first time Tesla employees and executives have been known to monitor Tesla forums. In the past, several Tesla owners have reported having people from Tesla reach out to them to resolve potential issues without ever having contacted them directly, but after posting about it on Tesla forums.